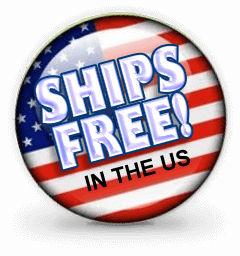 Free shipping applies to orders delivered within the US via standard ground service (UPS, Fedex or USPS) - average delivery is 3-8 business days. Offer includes shipments to Alaska, Hawaii, Puerto Rico and other US Territories. Express shipping available at an additional cost - see shipping section during checkout. For other special offers, coupons and discounts, be sure to follow us on social media and subscribe to our newsletter (see below).